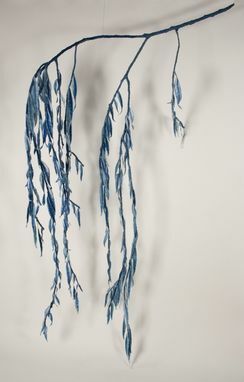 Each one of these mobiles begins with a real branch picked up from around where I live. 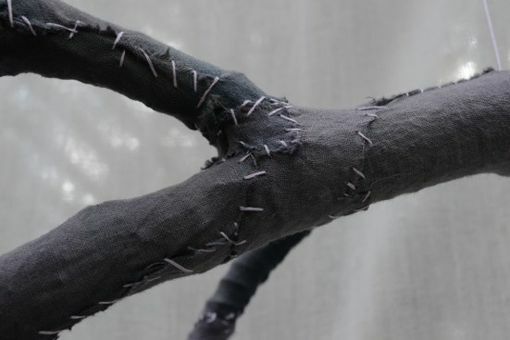 I then wrap the branch in wire to reinforce each limb. 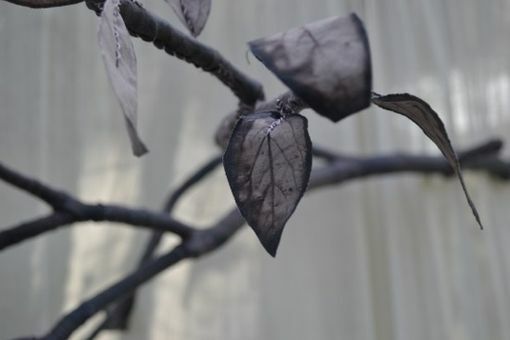 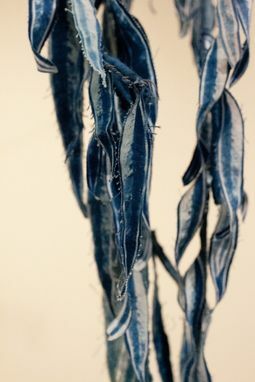 Every leaf is a double sided print on cyanotype fabric which is reinforced with a small piece of thin wire. 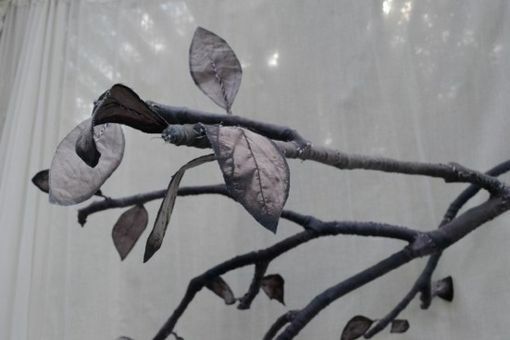 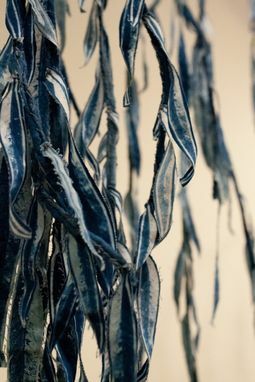 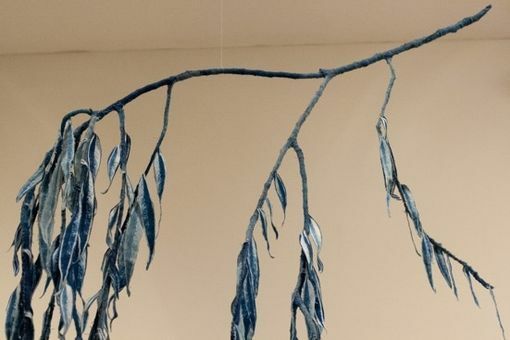 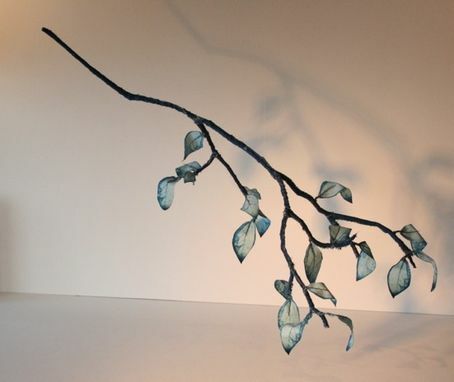 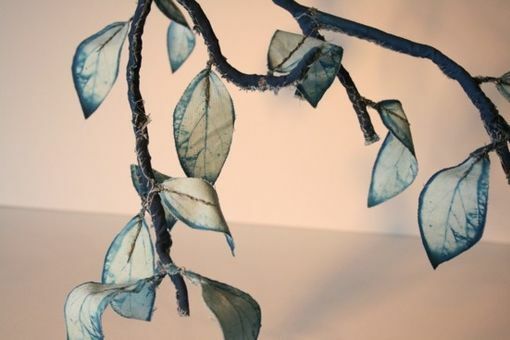 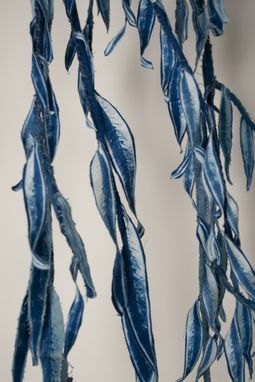 The branch is covered with a solid cyanotype print and hand-sewn around the natural form. Each leaf is added in with a few more stitches. 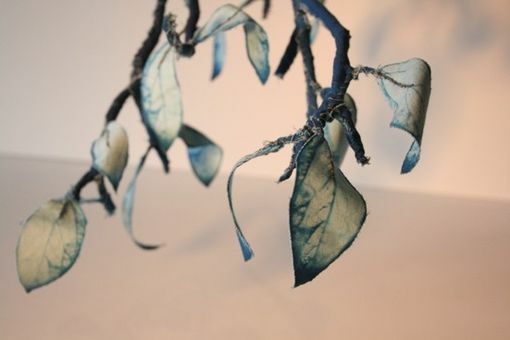 The final result is a whimsical mobile that delicately spins in the air currents of any space. 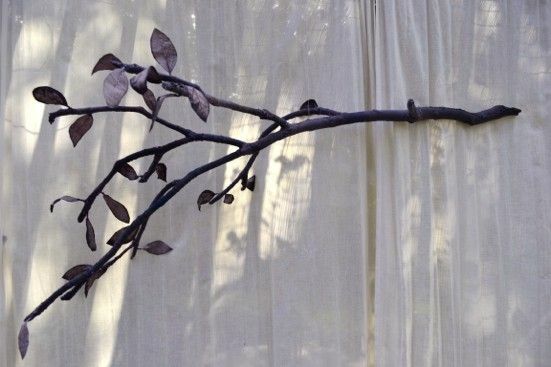 A great way to bring nature indoors.